I put this new t-shirt design up on Red Bubble. 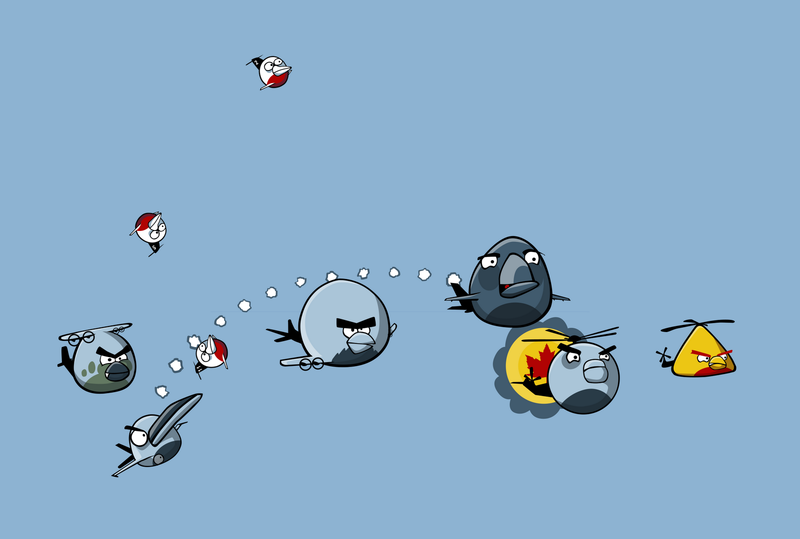 It's based on the game Angry Birds, but I made all the birds look like different RCAF aircraft. The idea for this came from the patch I'm designing for the nav course I just started. We wear a course patch on our left shoulder of our flight suits, which we (and that'll mean me) choose and design. 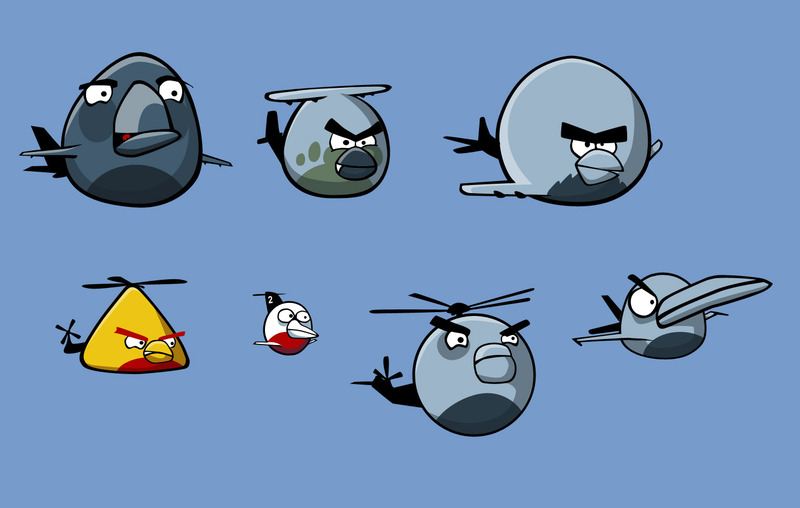 We were talking about doing an Angry Birds theme, and I said I would make one that looks like a Dash 8, because that's what we fly in for training. It went well, and now we just need a motto before we can get them made. I enjoyed doing it so much I decided to make a few more, and see what kind of design I could come up with. This is the first version of the planes I came up with. They're based on (left to right) a Polaris, Hercules, Aurora, Cormorant, Tutor, Sea King, and F-18. I tried to choose different types of aircraft used for different purposes. to have a good variety. I couldn't do one of everything because I was limited by the number of birds, and it just would have gotten to be way too many planes to make into a nice design. I decided it would be nicer to limit the numbers and do something cool to the layout instead. Some of the plane/bird pairings I choose because they went really well together for more than just shape. The Polaris is used for air-to-air refuelling, so the bird that lays eggs was a good match. 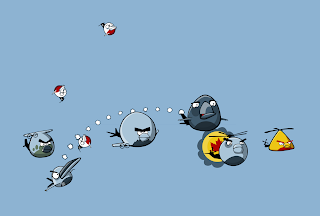 In the final design I used a trail of little clouds, similar the the ones the game uses to show the path the birds take in the game, to 'connect' it to the F-18. The Cormorant is used for Search and Rescue, so it's painted yellow and red, and it's similar in shape (or as close as you can get in a game made of geometric birds attacking pigs) to the triangle. The Tutors are the small planes used by the Snowbird acrobatic team. The little blue bird that splits into three was perfect for that. They're my favourite. 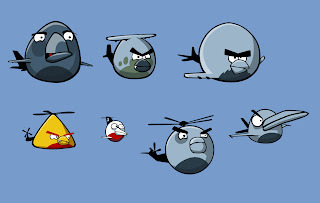 The Sea King is based on the exploding bird, which I kind of thought was funny because they are so old and we always joke about their state of repair. I originally had the explosion from the game behind there, but I though it was too close, in regards to copyright, and figured it would be a good place to put the RCAF rondelle. I used the yellows from the Cormorant, and the vintage maple leaf to get get a bit of the 'explosion' feel. They're fun! Made me laugh. Good luck with the motto for your patches!